All about being in the right place at the right time. There had been significant buildings on this land since the reign of William I. Greenwich Palace, near the site of the present-day Maritime Museum, was the birthplace of Henry VIII; the Tudors used Greenwich Castle, which stood on the land that the Observatory presently occupies. Greenwich Castle was reportedly a favourite place for Henry VIII to house his mistresses, so that he could easily travel from the Palace to see them. The establishment of a Royal Observatory was proposed in 1674 by Sir Jonas Moore who, in his role as Surveyor General at the Ordnance Office, persuaded King Charles II to create the observatory, with John Flamsteed installed as its director. The Ordnance Office was given responsibility for building the Observatory, with Moore providing the key instruments and equipment for the observatory at his own personal cost. Flamsteed House, the original part of the Observatory, was designed by Sir Christopher Wren, probably assisted by Robert Hooke, and was the first purpose-built scientific research facility in Britain. It was built for a cost of £520 (£20 over budget) out of largely recycled materials on the foundations of Duke Humphrey's Tower, which resulted in the alignment being 13 degrees away from true North, somewhat to Flamsteed's chagrin. The original observatory at first housed the scientific instruments to be used by Flamsteed in his work on stellar tables, and over time also incorporated additional responsibilities such as marking the official time of day, and housing Her Majesty's Nautical Almanac Office. Moore donated two clocks, built by Thomas Tompion, which were installed in the 20 foot high Octagon Room, the principal room of the building. They were of unusual design, each with a pendulum 13 feet (3.96 metres) in length mounted above the clock face, giving a period of four seconds and an accuracy, then unparalleled, of seven seconds per day. British astronomers have long used the Royal Observatory as a basis for measurement. Four separate meridians have passed through the buildings, defined by successive instruments. The basis of longitude, the meridian that passes through the Airy transit circle, first used in 1851, was adopted as the world's Prime Meridian at the International Meridian Conference on 22 October 1884. Subsequently, nations across the world used it as their standard for mapping and timekeeping. The Prime Meridian was marked by a brass strip (presently upgraded to stainless steel) in the Observatory's courtyard once the buildings became a museum in 1960, and, since 16 December 1999, has been marked by a powerful green laser shining north across the London night sky. Since the first triangulation of Great Britain in the period 1783-1853, Ordnance Survey maps have been based on an earlier version of the Greenwich meridian, defined by the transit instrument of James Bradley. When the Airy circle (5.79 m to the east) became the reference for the meridian, the difference resulting from the change was considered small enough to be neglected. When a new triangulation was done between 1936 and 1962, scientists determined that in the Ordnance Survey system the longitude of the international Greenwich meridian was not 0° but 0°00'00.417" (about 8m) East. Besides the change of the reference line, imperfections of the surveying system added another discrepancy to the definition of the origin, so that the Bradley line itself is now 0°00'00.12" East of the Ordnance Survey Zero Meridian (about 2.3m). Greenwich Mean Time (GMT) was until 1954 based on celestial observations made at Greenwich. Thereafter, GMT was calculated from observations made at other observatories. GMT is more properly called Universal Time at present, and is calculated from observations of extra-galactic radio sources, and then converted into several forms, including UT0 (UT at the remote observatory), UT1 (UT corrected for polar motion), and UTC (UT in discrete SI seconds within 0.9 s of UT1). To help others synchronise their clocks to GMT, AR John Pond had a time ball installed atop the observatory in 1833. It still drops daily to mark the exact moment of 1 pm (13:00) year-round (GMT during winter and BST during summer). The Observatory underwent an attempted bombing on 15 February 1894. This was possibly the first "international terrorist" incident in Britain. The bomb was accidentally detonated while being held by 26-year-old French anarchist Martial Bourdin in Greenwich Park, near the Observatory building. Bourdin died about 30 minutes later. It is not known why he chose the observatory, or whether the detonation was intended to occur elsewhere. The Royal Observatory is now part of the National Maritime Museum. There are a variety of combinations of tickets available including to the Cutty Sark. 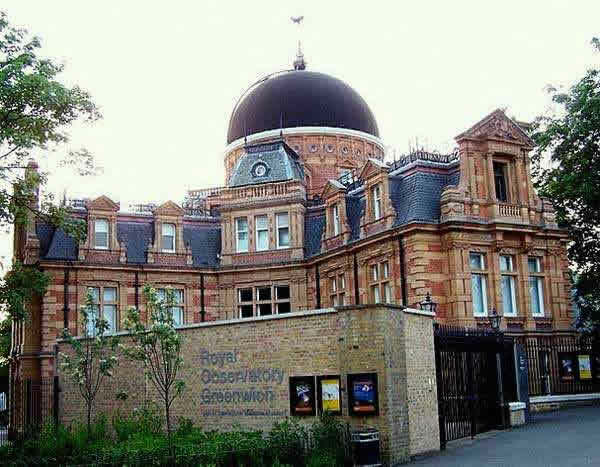 The Royal Observatory and Peter Harrison Planetariums are at the top of a steep hill in Greenwich Park. There are two routes through Greenwich Park to the Royal Observatory and Planetarium and these are signposted from the Sammy Ofer Wing park gates. The main walking route follows the path directly up the hill and takes up to 13 minutes. This includes a short pause to take in the view of the city half way up the path. The less steep route, which we particularly recommend for wheelchair users, takes approximately 25 minutes. This timing is based on an adult pushing an adult wheelchair user and taking a short break along the route. Alternatively, paid public car parking is available in Greenwich Park at the top of the hill. The Astronomy Centre galleries and the Planetarium are fully accessible via lift. Mobility scooters may be too large for lift access and visitors are requested to ask a member of staff on duty for assistance. Some of the older parts of the Royal Observatory have restricted access: the Octagon Room is only accessible via a staircase, as is the Great Equatorial Telescope and Flamsteed House apartments are not recommended for wheelchair-users due to the narrow interior. Guide dogs, hearing dogs and assistance dogs are welcome. Visitor Assistants are trained in disability awareness and a number of the staff are trained to give pre-booked audio described tours of the site. 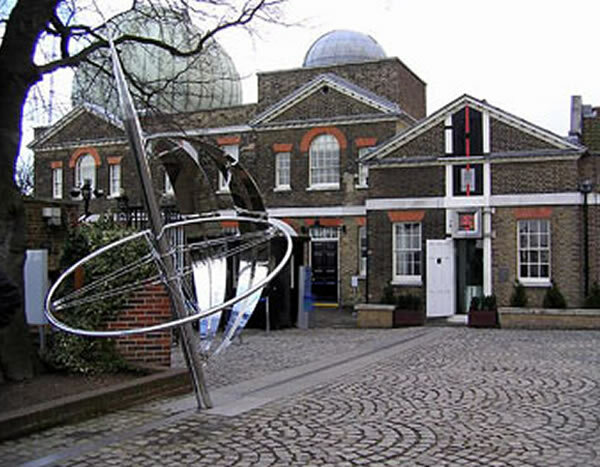 While at the Royal Observatory, don’t miss the chance to touch a 4.5 billion-year-old meteorite in the reception area of the Astronomy Centre, and the 32-inch astronomical quadrant in the Octagon Room of Flamsteed House. Audio guides for the historical part of the Royal Observatory are available free for ticket holders. In addition, most of the interactive exhibits in the Astronomy Centre and Altazimuth Pavilion have audio interpretation. Transport: Cutty Sark (DLR). Greenwich Pier (River Services). London Buses routes 129, 177, 180, 188, 286 and 386 stop here. Astronomy Centre Free. Children under 5 Free in above.